Loving this stew, packed with veggies and flavor! 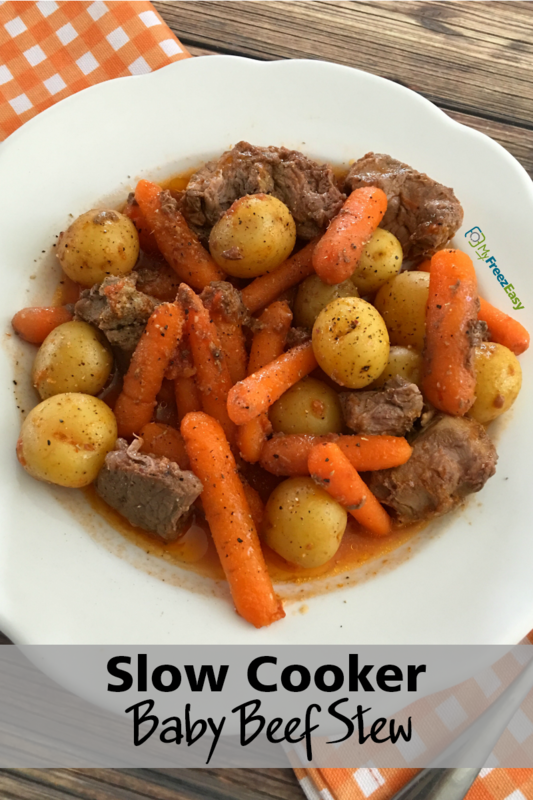 To the base of the slow cooker, add the stew beef, baby potatoes, baby carrots, tomato sauce, minced garlic and beef stock. Season with salt and pepper. 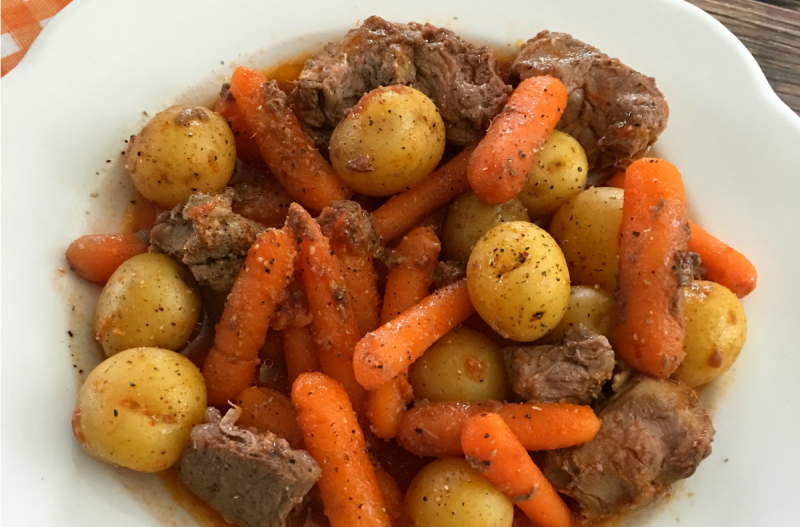 Serve Slow Cooker Simple Baby Beef Stew with dinner rolls. Open the 2 cans of tomato sauce. Recipe is gluten-free when served with gluten-free sides like rice. Thaw and slow cook on low for 8 hours.